Ingredients: Almond Milk, Saponified Olive, Coconut, Palm Kernel, and Castor Oils, Cocoa Butter, Shea Butter, Sustainable Palm Oil, Vanilla Beans, Pumice Sand, Mica, Titanium Dioxide, Iron Oxide, Tin Oxide, Petitgrain EO, and Chamomile EO. 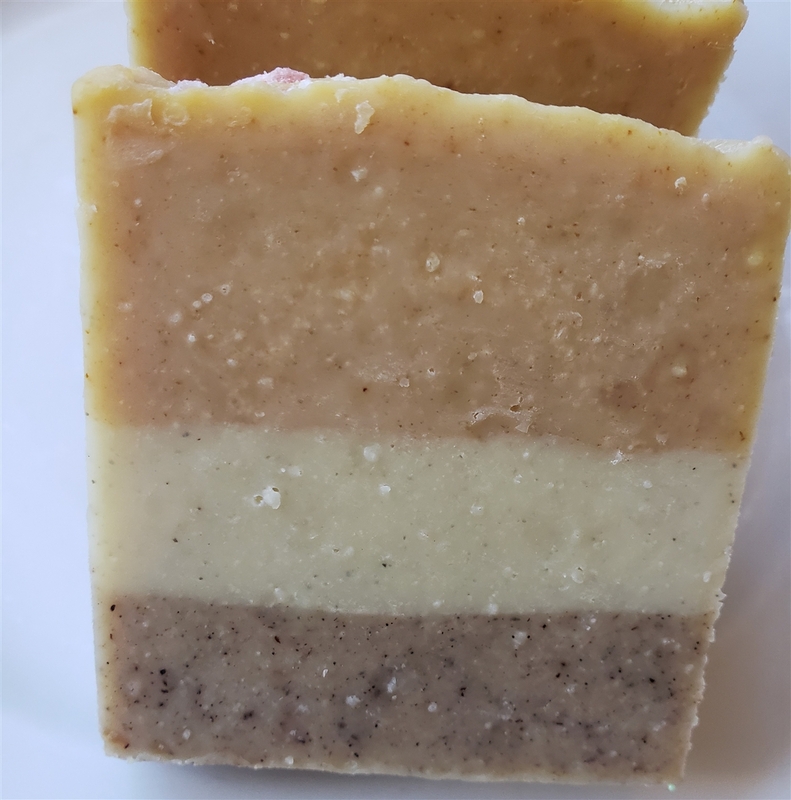 These soap bars are handmade and each bar will be unique and slightly different. Ingredients: Almond Milk, Saponified Olive, Coconut, Palm Kernel, and Castor Oils, Cocoa Butter, Shea Butter, Sustainable Palm Oil, Vanilla Beans, Pumice Sand, Mica, Titanium Dioxide, Iron Oxide, Tin Oxide, Petitgrain EO, and Chamomile EO.